Wikipedia and Versailles have established full diplomatic relations. Wikimedia France, which promotes Wikipedia in that country, is sending an employee to be the “resident Wikipedian” at the renowned opulent palace outside of Paris, historically a royal playground, now a tourist destination and custodian of cultural patrimony. 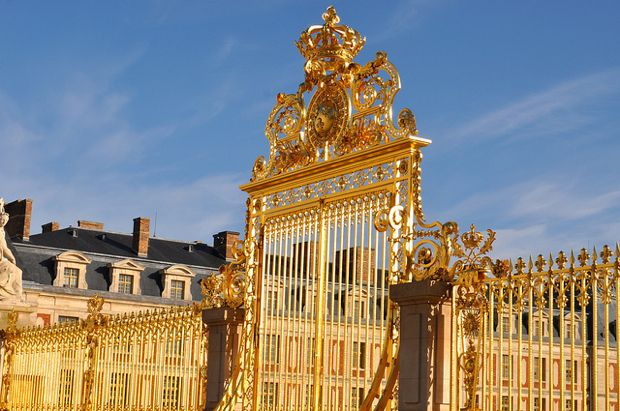 Benoit Evellin’s job will be to facilitate contacts between people who write Wikipedia articles and teams at the Chateau de Versailles, which have been trying to digitally distribute its informational resources for some time. Is Wikipedia giving up its scrappy, free-for-all, independent style here? Probably not. On the one hand, it would be bad if Wikipedia simply became a PR arm for Versailles or any other institution. (There’s an irony here: Some have hystorically credited encyclopedias with bringing on the French Revolution.) On the other hand, Versailles is now more a museum than anything else, and who knows Versailles better than the people at Versailles? There’s a game some people like to play on Wikipedia: choose a frivolous entry (Pokemon: The Movie 2000) and a serious one (William Shakespeare). Compare the word count. Marvel at humanity’s appetite for the inane. In the cosmic battle against junk knowledge, Wikipedia’s alliance with institutions is probably on the side of the good.